Promotion to senior classes is a success for students. This makes them meet a bunch of new faculty members and teachers. Many students especially from the primary classes, often feel uncomfortable with their new teachers. Good scores cannot alone be the parameter of success for children. 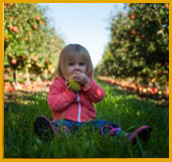 For 360° success of your child, you must observe the various aspects of their daily activities during the growing years. Stretching studying span not always leads to good scores. To ensure good score and performance of your child, you must take care of their health and keep a close eye on their diet. ● Look at how plastic is polluting our planet Earth in a simple chart. To make online education more authentic and promote original content among students, teachers and schools, LoveMySkool is now an official partner with Copyleaks. Copyleaks allows LoveMySkool users to cross-check the plagiarism of the content they share, in order to avoid duplicity and redundancy. We would love to hear back from you and also receive suggestions on topics to be included. Feel free to write to us at info@lovemyskool.com. Copyright © 2018 LoveMySkool, All rights reserved. Education is a basic human right, yet gender bias cripples the lives of millions of women and girls, around the world. According to UNESCO*, less than 40% of countries provide equal access to education to girls and boys. Despite efforts, the majority of children dropping out of school are girls. Gender prejudice is one of the major reasons behind deprivation. However, amidst variations from country to country, women have outnumbered men in enrolling in higher education globally. As per the recent survey* conducted by Ministry of Human Resources Development, Government of India, the gender gap in higher education across education institutes has reduced in the past five years, consistently. Enrollment of female students exceeded the number of male students at UG and PG level in 2016-17. The increase in enrollment numbers indicates women are no more bound with limitations and are scraping off incompetency tags. What can help women gain education and empower them further? Evolution! In the past few years, conventional means of teaching and learning are evolving into online education and the progression is welcomed as it enables aspiring females to get the education of their choice. In the recent past, educational technology (Ed-Tech) has demonstrated its potential as an accelerator for education, political, socio-economic empowerment of women, and promoter of gender equality. Given below are key indicators of how ed-tech can empower women. Access to quality education – Online learning allows access to numerous options of quality education. Beats gender disparity – Beats gender bias and provides equal opportunity for women. Employment – Exposure to technology aids in getting employment opportunities for women from all classes, thereby eliminating socioeconomic bias. Knowledge sharing – Allows exchange of thoughts and knowledge. Access to information – Technology facilitates women to get crucial information about health, subsistence, farming, weather, politics, economy through the internet. In ed-tech, times are changing from all-boys club to women-oriented boardrooms, and below mentioned women, ed-tech founders* have set an example. Education is the biggest concern in Africa as most countries in the continent grapple with inadequate education resources, thereby depriving children from nurturing their talent and skills. In fact, African education is gripped with challenges such as political, socio-economic, terrorism, poverty, insufficient government investments, and poor facilities. However, amidst pressing challenges, Richard Appiah Akoto*, a school teacher at Betenase Municipal Assembly Junior High at Sekyedomase, Ghana, has given a ray of hope with his innovative method of teaching on how to use a computer, by drawing a picture of Microsoft Word, computer monitor, system units, keyboard and a computer mouse on a blackboard. According to a survey*, conducted in 2012 by Brookings Center for Universal Education, a nonprofit public policy organization based in Washington, DC, of Africa’s 128 million school-aged children only half will get the chance to attend school and learn basic skills. The numbers indicate a fair amount of urgency in improvising education system in Africa and that’s where Ed-Tech could play a significant role. It is the use of technology in form of applications or tools to enhance learning, guidance, and education. These tools do not replace existing practices, but aid in delivering education. Technology eases communication, learning, teaching, checking individual progress, and more importantly, enhance the performance of the overall education system. A lot has changed in the past couple of years. Although slow, Africa is witnessing a gradual rise in technology usage in education. Active adoption of technology is offering wider and greater potential for innovations. The continent is growing in terms of internet penetration, mobile phone usage and ed-tech tools are creating a positive effect on education. Data* indicating users of the internet, mobile, and social media vis-a-vis population (1,272 Million) in Africa as of 2018. Let’s check how far the use of Ed-Tech applications and tools have risen in Africa. Introduction of mobile technology for general and educational needs. Increase in small and large-scale initiatives to distribute educational materials, support reading, peer-to-peer learning, and remote learning through social networking sites. Improvement in communication between institutes, educators, schools, students, and parents. Enhancement in education through m-learning (mobile-learning), online courses, and e-learning technology. Awareness and accessibility of education due to investments by local and international companies. Ed-Tech start-ups such as Obami, Daptio, Siyavula, Eneza, Chalkboard, and others. Access to resourceful e-learning platform, enabling remote students to educate themselves. Students get access to a range of online courses, undertake assignments and tests, receive results and certificate or diploma, online. To prove the rise of ed-tech in Africa, we have a fine example, the African Virtual University* (AVU) an intergovernmental organization uses virtual learning (programmes and apps) and has trained over 40,000 students since 1997. In 2017, the university announced 29 new distance learning centers across Africa, in partnership with African Development Bank. 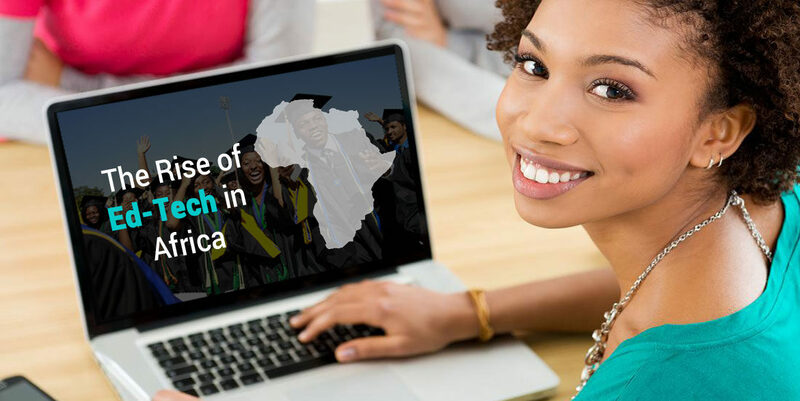 Attributing the gradual progress of online education to ed-tech start-ups and respective governments, initiatives by schools & universities, the status of education in Africa is improving and it looks very promising. Even in today’s era of keyboarding, good handwriting has its own charm. From boosting a child’s grades to getting a good job with a handwritten bio-data – handwriting can be the key to your success. Participation is normally what we expect from students, but it is never that simple. To make classroom discussions more interesting, these strategies can be implemented. The visual thinking tool for students to get better results, improve their memory and make them more creative. ● Fiery Lava from Kilauea Volcano Erupts on Hawaii’s Big Island. ● TheWorld’s Rarest Ape is on The Brink of Extinction. Observe closely a child engrossed in watching a TV show of his interest or playing a game on a tab. The focus & concentration displayed by the child is brilliant and effortless. Now switch to a scenario where a child is being taught by a teacher or a parent and, more often than not, the child faces difficulty in maintaining his focus. So whether the teachers & parents are aware or not but the hard fact is that they are competing with the tabs and other digital gadgets of our times! And hence the immediate task on hand of the teachers is to pump more creativity into their teaching methodologies using brain friendly methods and technology wherever possible. One such technique is Mind Maps which helps learning become fun for both students as well as teachers. So what is a Mind Map? A Mind Map is a simple visual thinking tool which helps compress large amount of information on a single sheet and thus can be used for improving recall as well as creative thinking. Simply put a Mind Map helps transform dull, boring, linear, textual information into a vibrant, colorful, interesting, imaginative, radiant layout. Let us look at possible avenues where Mind Maps can be used to help children learn better. A typical chapter from a middle school book runs between 5-12 pages. It can indeed otherwise be a little daunting or boring for the child to even look at the long chapter. On the other hand if the child with the help of the teacher/parent transforms the chapter into a one page Mind Map it would become much easier for the child to, first, understand the chapter and, subsequently, to memorize it by the repeated quick browsing of the chapter’s Mind Map. The basic ingredient for creative writing are your thoughts combined with a certain level of clarity to be able to capture them accurately on a piece of paper. But the challenge is, that the nature of our thoughts is radiant (moving in all directions from a centre) whereas the words that you put on a piece of paper are systematically arranged in a linear fashion. To fill this gap Visual thinking using Mind Maps is really helpful; which in a fun way allows the child to pen his thoughts in an unrestricted manner and afterwards stitching them nicely into an essay. For the child who gets overwhelmed even with the daily home-work, it can indeed be daunting to face its bigger avatar “Holiday Home work”. It can potentially evoke feelings of anxiety, fear, boredom, etc. not only in the child but also in the parents! Again using a Mind Map to, first, capture the complete Holiday home-work on a single sheet and then helping the child to use it as a progress tracking sheet keeps the child motivated, focused and gives him/her the confidence to complete the home-work in small bites every day. The process is quite similar to managing the holiday home-work capturing the exam syllabus on a single page Mind Map; preferably using A3 and colours in the Mind Map. Again get the child to showcase his progress on it and do not forget to celebrate each time the child completes part of the syllabus of a subject. Many projects that a child needs to complete, involve activities like researching for information, collecting pictures, making a collage etc. Researching for information can be a daunting task for a child. Using Mind Maps, however, it becomes easier to plan and break down the research into manageable tasks. Kids also enjoy several hobbies be it sports or arts. Again, keep your eyes open for potential areas where visual thinking can be applied to enhance their learning further on the subject of their interest. can be fun and easy using a Mind Map. You can also introduce your child to the art of decision making using Mind Maps which helps the child look quickly and clearly at the various facets of a decisions. Similar to the process of creative writing , visual thinking using Mind Maps can help a child confidently design & deliver a talk or presentation. How to Help Your Child Focus and Concentrate available on all leading online stores including Amazon. Summer is here! But what about learning? Plan out your calendar for the next three months with these simple tips. Time to embrace creativity as a part of learning that will enhance your children’s growth at every age. Another professional added to the group. Vijay will be the face of LoveMySkool for US region. He will be the first point of contact for our growing user base in this region. Utilization of technology in the education sector is evolving. A few years ago, online education had a small role in the field of education but now it is considered as an emerging alternative. Students are looking for technological progression in addition to traditional classroom learning to convenient and flexible e-learning. Among modern-day advancements ‘Technology’ emerges as the largest theme to impact the education area in the past few years. This forecasts a great time for the present-day learner, schools, educators, parents, and all those connected with the teaching-learning process. We have identified three expectations for online education in 2018 that will shape e-learning. Augmented Reality: We foresee Augmented Reality or AR to be introduced to online education. AR is an emerging technology which can change the aspects of a viewer’s surroundings without moving the physical reality. Enhanced visual experiences can help students imagine and understand their subjects. AR can be an ideal solution for remote students. Gamification: Gamification is trending and it is being used by several schools and colleges. Some institutes providing free online education offer tutorials in mathematics through gamification. Successful students are given experience points and badges as they complete their projects or assignments. The in-game successes simulate the stories of popular video games. Game-like simulation has shown an increase in engagement among students and improves results. Personalized Lessons: Compared to the costs and accessibility of AR and Gamification, the simplest and greatest advantage of online education is personalization and customization. This is possible due to the availability of rich data online where instructors can find and customize the trends and patterns of learning that suit needs of students. 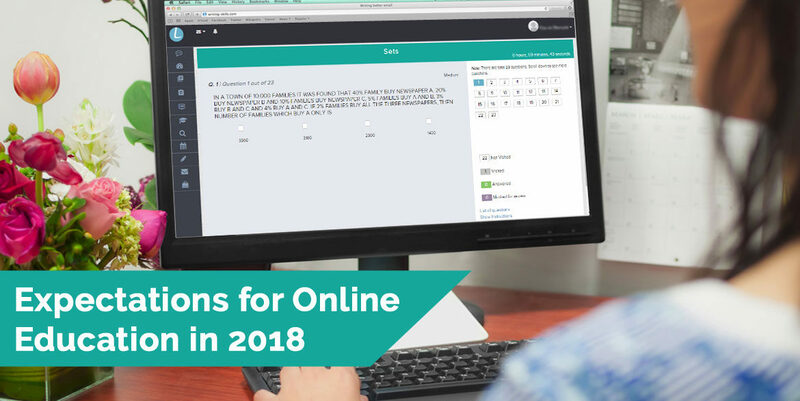 2018 promises to be an interesting year for education, and the trend of obtaining education online will progress. With technology upsetting traditional arrangements, conventional tutoring, and typical mindsets, a seamless integration as a top online solution for schools with classroom practices will be crucial to the success of online education. 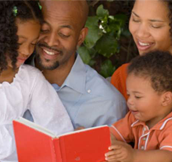 Creative tips for parents to inculcate reading skills. Such activities can produce significant gains in reading comprehension. A perfect blend of fun and learning helps kids immerse themselves in science and leaves a deep learning impact. Different year, same time. When exams are around the corner, there is always a bit of nervousness. Not to worry; with these exam tips, you are sorted. ● 1.5 Million Adelie Penguins Discovered on Remote Antarctic Islands. ● What Were George Washington’s Teeth Made of? ● A stunning discovery about the start of the universe. With the availability of latest and high-end technology in the field of education, classroom-based learning is losing effectiveness over the past few years. Although no technology can match the strength of a real classroom, the trend of e-learning is setting in. This can include the use of websites, programs, teaching tools, and technologies such as a software that can be used anytime, anywhere. 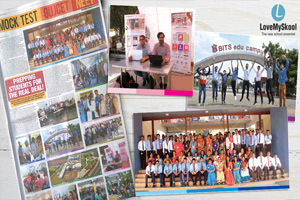 To make learning engaging and fun-filled schools and colleges are gradually adopting an LMS – a Learning Management Systems which allows schools, teachers, students, and parents to realize standardized pedagogical models, impart personalized learning, engage, and create a constant connect with students and parents. *According to an independent study, 1 out of 5 implementations of a learning management system materializes in the education sector. 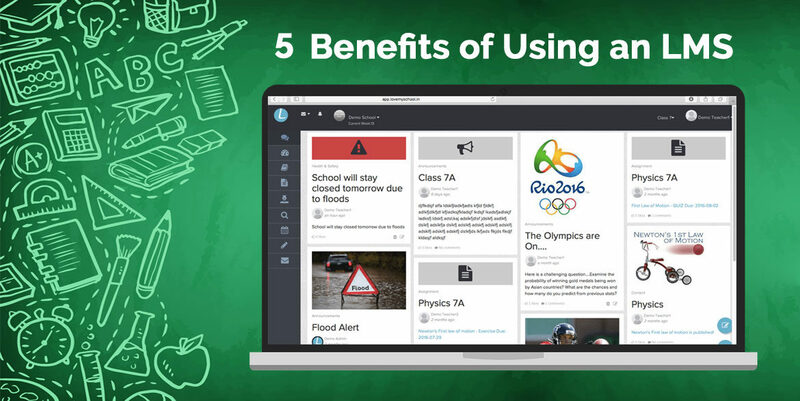 Let’s explore 5 benefits of an LMS. Centralized learning: Among many features of an LMS, the most important one is centralized learning. Content is stored on a server. A cloud-based learning management solution is even better. This makes all tests, assignments, projects, and lessons accessible at any time, anywhere, and on any device, while maintaining consistency. No limitations: Schools and colleges have time-bound activities and they will close after fixed hours but with an LMS the content, assignments, lessons, projects are always available online hence there are no chances of missing lessons. Ease of tracking and reporting: A Learning Management System assists in enhancing the performance of students through tracking and reporting tools. 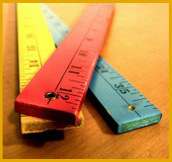 The progress can be tracked and assignments or projects can be reviewed. Teachers can access the analytics of and work on techniques to improve learning of students. Seamless evaluation: An LMS allows teachers to evaluate students before, during, and at the end of the course without disturbing the learning process. The system also allows students to review their personal performance on assignments and projects. Easy to update and upgrade: Since an LMS is a centralized platform, it is easy to update and upgrade. It is easy to carry out changes to the content, assignments, lessons, and lesson plans for teachers, project descriptions, or user specifications. All users receive the same updated or upgraded data at the same time. Whenever a student thinks of maths, he/she thinks of running away. But not anymore! With this exciting activity involving just an ice cube tray. Time to hear the same sounds! Get your kids ready for an amazing activity with a hunt & rhyming experience. Before you know they are already into geometry and algebra. Make math an exciting experience for them. ● There could be entire stars and planets made out of dark matter. ● Laser mapping uncovers dozens of ancient Mayan cities.